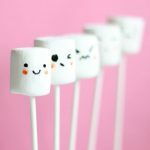 A roundup of amazing sushi art ideas from around the web. I once made sushi. It was for a contest. I had zero sushi experience in making this sushi art, and it shows. (Note that it’s pretty much all rice.) 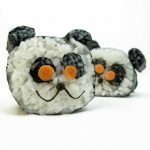 One thing has changed since I made this panda sushi, though. I love it now. I can’t believe I’ve been missing out on the wonder that is sushi all these years. I stay away from the raw stuff, so I’m still pretty close to nil on my sushi experience. But at least now I appreciate its awesomeness more. 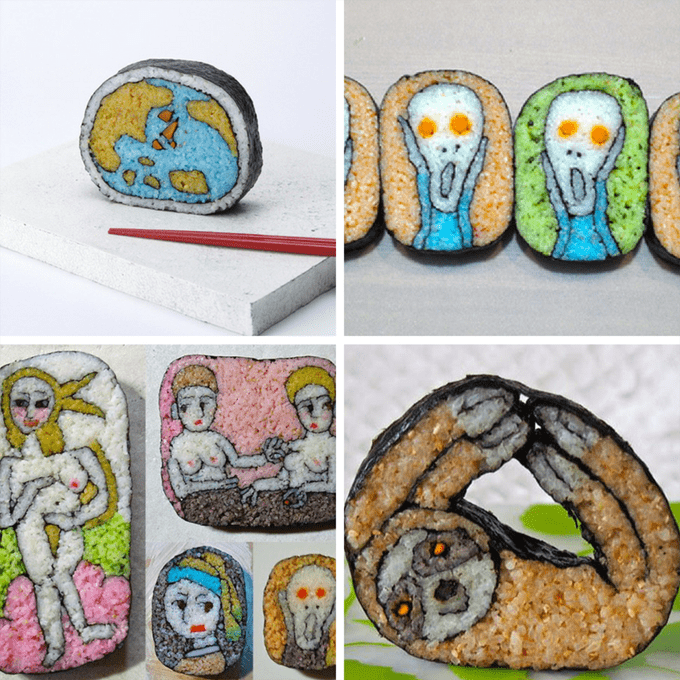 Speaking of awesomeness, how about some sushi art? 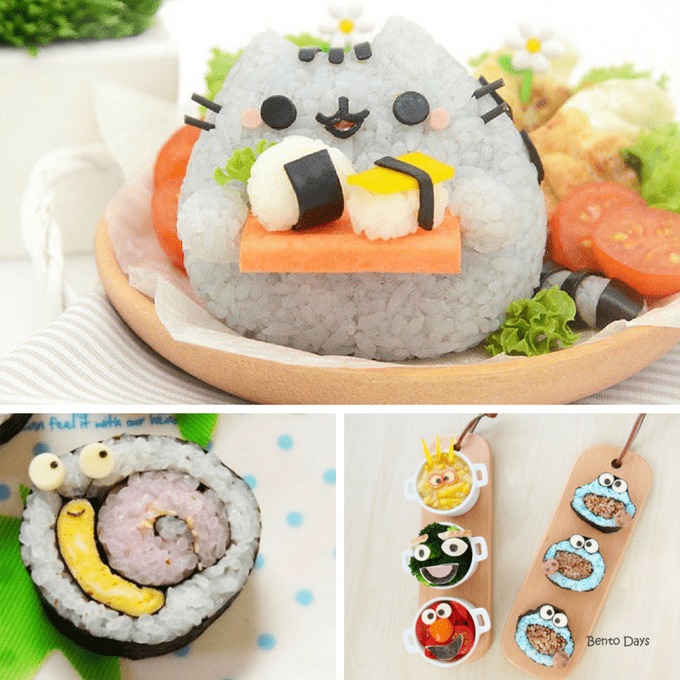 If you like this post, you might also like this roundup of 15 unusual ways to eat sushi. First, up, my panda sushi that is pretty much just rice. But it’s cute, right? 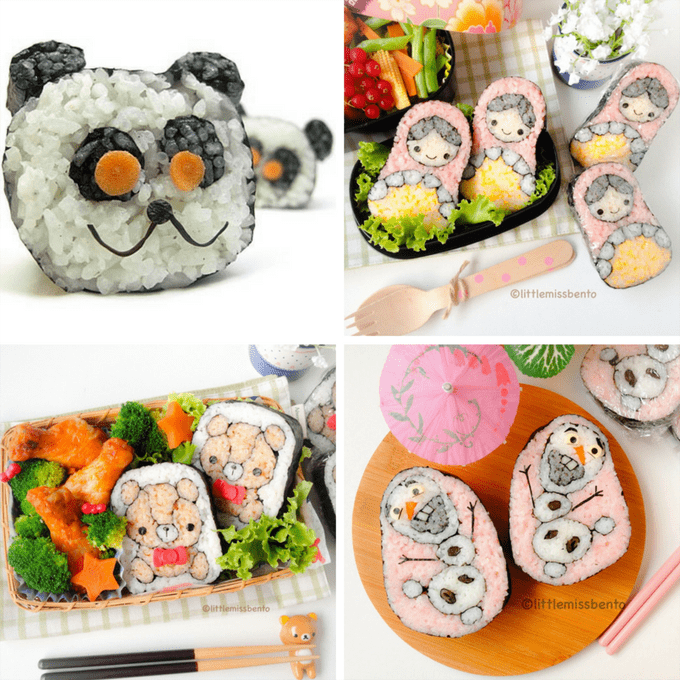 Russian doll sushi, teddy bear sushi, and Olaf sushi. 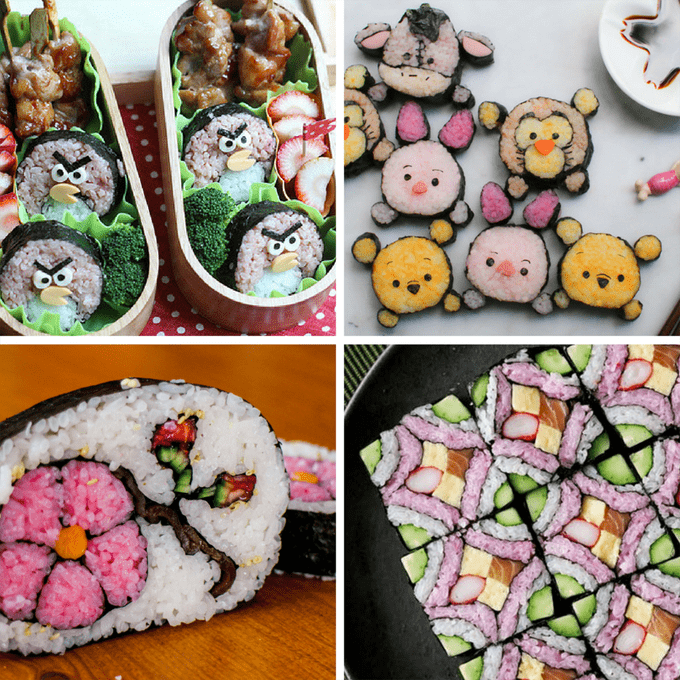 Pretty much just spend some time over at Bento Monsters, but in particular, how about this Angry Birds sushi. Learn to make this flower sushi by Make Sushi. Make mosaic sushi at Tastemade. 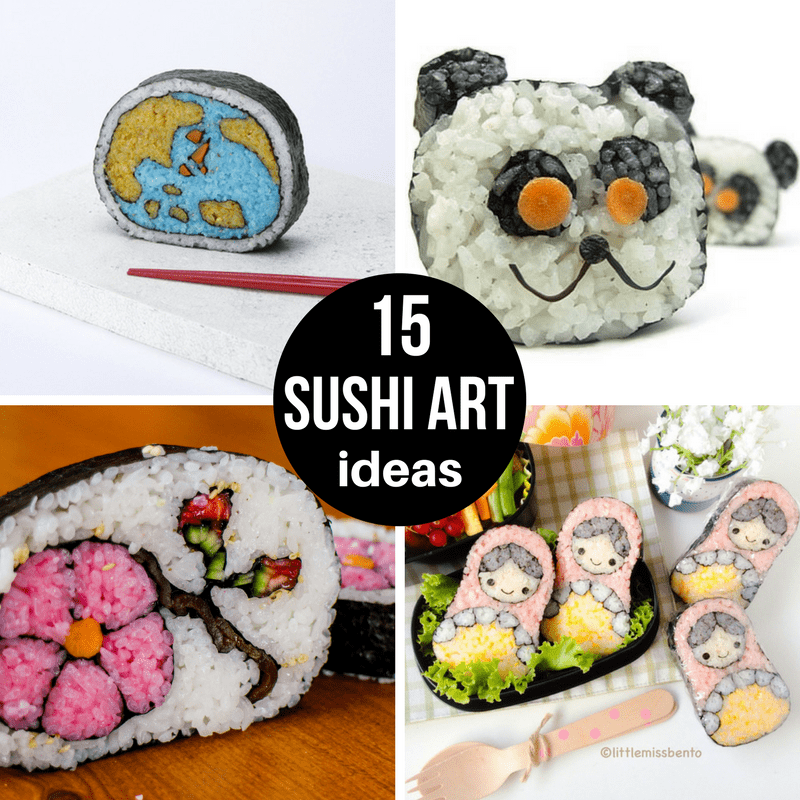 I believe this sushi art collection is also from Tama-chan. As is this sloth sushi. Another fantastic sushi artist is Maysatch. Find more work here, such as Pusheen the cat. Ohmygosh, this snail sushi is the cutest. I love this Cookie Monster sushi by Bento Days.